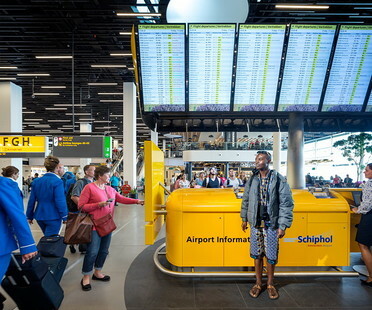 A new installation is entrancing travellers at the busy Schiphol airport in Amsterdam. Parade is a travelling Dutch theatre festival that decided to expand its offer with the Parade Museum. Kossmann.dejong, storytelling at the airport. If you're visiting Amsterdam this summer, Schiphol airport has a brand new offering: the interior design of Lounge 2 by creative agency Kossmann. The New Amsterdam Courthouse will be designed by KAAN Architecten, winners of the design contest.